2016 was my first full year of blogging. I was hoping to average one post per week, but came up short. 40 posts for the year still seems respectable. The slowest month was December with just one post. No big surprise there. I think most of us are less productive during the holidays. I went crazy in April and cranked out six posts. 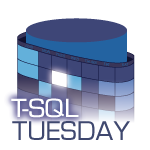 For T-SQL Tuesday #85, Kenneth Fisher (b|t) says "let’s hear it for backup and recovery!". 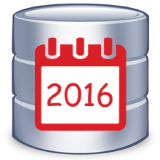 I'm sure if you follow along with the others who participate, you'll see plenty of articles that reinforce the importance of database backups. I'll be right there with them in agreement. But I want to take this in a different direction. This may sound like heresy, but restoring a backup can be a bad idea. I'll explain why, and present some alternatives.